Join us in celebrating the teams of officers who have directed the work of our organization. 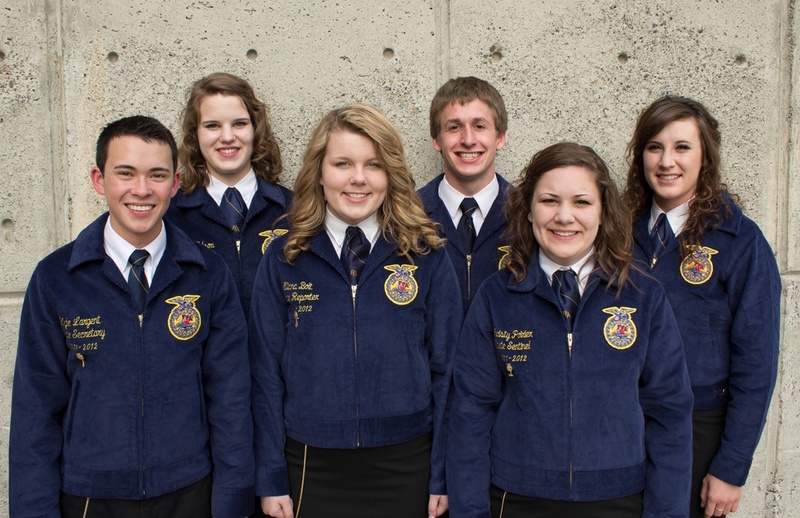 If you are a past Washington FFA State Officer, please contact us so that we can add you to our roster! The 2017–2018 Washington FFA State Officers from left to right: President Seth Smith, Treasurer Sydney Klaveano, Reporter Kelci Scharff, Vice President Mollee Gray, Secretary Taylor Enns, Sentinel Matt Rounsley. 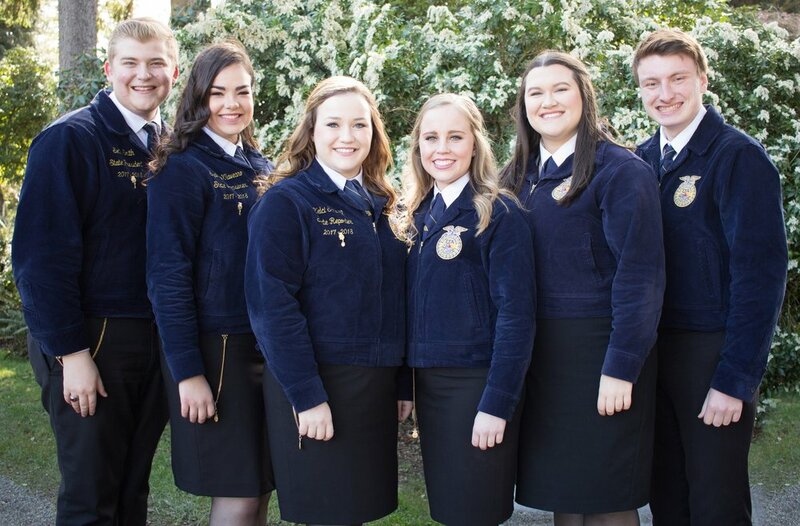 The 2016–2017 Washington FFA State Officers from left to right: Reporter Drew Carlson, Sentinel Luke Moore, Vice President Tye Taylor, Treasurer Megan Gould, President Alyssa McGee, Secretary Corrina Davis. The 2015-2016 Washington FFA State Officers from left to right: Reporter Jason Wigen, Vice President Monica Haugen, Treasurer Dallas Tyus, President Julia Spangler, Secretary Mitch Jamison, Sentinel Dan Lyng. From left to right: Sentinel Hayley Huber, President Bailey Peters, Reporter Laine Utter, Vice President Michael Heitstuman, Secretary Andy Zahl, Treasurer Johnathan Kelley. From left to right: Vice President Jake Barth, President Cole Snider, Reporter David Stitt, Treasurer Jordan Smith, Sentinel Brandon Knodel, Secretary Damen Jeg. From left to right: Secretary Kyle Largent, Treasurer Hannah Nelson, Reporter Eliana Bolt, Vice President Kyle Strachila, Sentinel Christy Poirier, President Sammi Jo Cool. From left to right: Reporter Greg Reilly, Sentinel Carey Smithingell, President Kevin Faw, Treasurer Brandon Borchers, Vice President Bre Trenary, Secretary Ricky Adams. Front: Sentinel Ricardo Ibarra, Treasurer Melissa Nussbaum. Middle: Vice President Angie Veldhuizen, Reporter Marissa Wilke, Secretary Per Petterson. Back: President Dustin Hurter.